Infant-Toddler Services - Arrowhead West Inc.
What is Kansas “Infant-Toddler Services” (Tiny-K)? Infant-Toddler Services (ITS), also known as ‘tiny-k’ is a comprehensive, statewide system of community-based, family-centered early intervention services for children, ages 0-3, with intellectual and developmental disabilities and/or delays and their families. The services are provided through the implementation of Part C of the Individuals with Disabilities Education Act (IDEA). This program is governed by the Kansas Department of Health and Environment (KDHE). Each network is responsible for assuring that early intervention services are available to all eligible children and their families in areas such as speech-language, occupational and physical therapies, audiology, special instruction, family training, assistive technology, social work, vision, psychological, and nutrition services. There also are specific types of medical, health, nursing and transportation services that can be coordinated through the local network. Within each network, early intervention services are designed to meet the special needs of the children and families, taking into consideration the unique cultural and socioeconomic factors in the local communities. What is AWI Early Intervention? Early Intervention Services are provided in 13 counties for eligible children birth to age three with developmental delays and disabilities and their families to improve child outcomes. Arrowhead West is pleased to assist with early intervention services that can enhance children’s learning and development. They can help families explore options and resources available in their community and assist them in setting new directions for this unfamiliar and sometimes confusing journey. Arrowhead West will provide information and support to assist families in making decisions about what’s best for them and their child. There will be many opportunities for learning and growing on the road ahead. Think of Arrowhead West staff as guides who can help support and lead families throughout their early intervention experience. When a child is identified by a referral source, through a developmental screening, or on the basis of an established risk factor (i.e. prematurity), the child is referred to the designated Kansas Infant-Toddler program in their community. Referrals come from many sources, such as the parent/guardian, or with permission, a doctor, hospital, health department, family member, daycare provider, or other professionals who know the child. When AWI is contacted with concerns regarding the child’s development, a Family Service Coordinator (FSC) is assigned to the family. The FSC will contact the parent to discuss these concerns, to explain the importance of early intervention, including their rights, and to help plan for the child’s evaluation. An evaluation date is then set at a place and time that is convenient for the family. Early intervention services are provided to families only at their request. Before the eligibility process can be started, the Family Service Coordinator must have written consent for staff to complete an evaluation. After evaluations are completed, the information gathered throughout the process will be presented and reviewed with the parent. Based on this information, it will be determined if services are needed. The team decision for eligibility is shared with the original referral source. 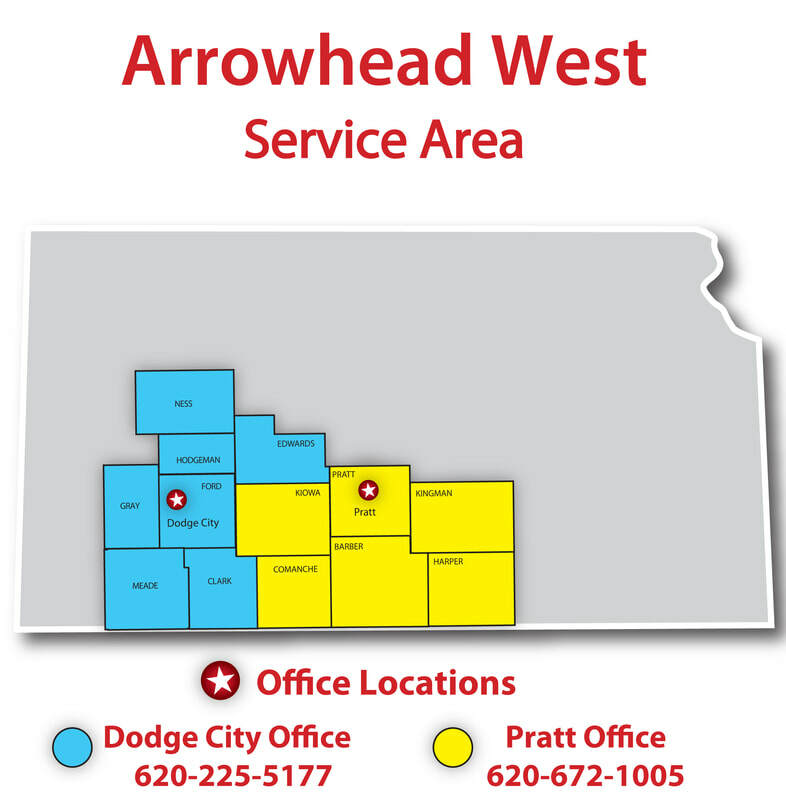 Arrowhead West, Inc. does not charge the family for the services they receive. Funding for the program comes from many sources including federal, state, and county funds, as well as private grants and donations. If the child is eligible for Medicaid, this funding can be used to provide a wide variety of the services AWI offers. All program services must be provided in a natural environment. This can include the child’s home, other family members’ homes, daycare centers, or other community locations familiar to the child and family. It is important for people who spend time with the child to be familiar with activities and opportunities to enhance the child’s development. These environments will be identified during orientation to prepare for the Individual Family Service Plan (IFSP) meeting. Services will be identified and delivered within the context of the existing family routines. The staff will give ideas of how to incorporate learning activities into the child’s typical daily routines, such as meals, bath time, playtime, etc. It will then be decided which routines can be adjusted to accommodate the intervention ideas. It is important that the person(s) responsible for weekly activities be available to participate in the child’s session. This could be any family (or all) member(s), extended family, friends, babysitter etc. Someone must be present at all sessions. The parent(s) should be present for and participate in the child’s IFSP meeting. Goals and outcomes will be written for the child and family based on preferences and needs. As the child approaches three (3) years of age, the Family Service Coordinator will discuss options for the child to transition into a public school program, if needed. A transition plan will describe what needs to happen to make the transition successful and as smooth as possible. Transition plans are also used if the child is moving to a new community or moving from Arrowhead West, Inc. services to another community program prior to age three.